It’s always interesting to look back over a year of reading and think about what worked for me and what didn’t. I had a good year this year – better than 2017 – and 2018 will go down as the year when I went back to reading fantasy after pretty much staying away from it for about three decades. In fact, my book of the year is a fantasy, not to mention that the four runners up to book of the year are fantasy. You’ll have to wait until April and May to find out what those books are – they’re all so good, they’re getting posts to themselves. Two are stand-alones by the same author and one is a fantastic series. Here’s a major clue – it’s a strange coincidence that they all explore similar territory: Eastern European fairy tales. If you’re a Facebook chum of mine (and why not join me there? I do lots of giveaways and share cool stuff: https://www.facebook.com/AnnaCampbellFans/), you’ll probably have guessed. The rest of you will have to wait in suspense! So I’m going to do a month of my four favorite fiction reads now and a month of my four favorite nonfiction reads in March. 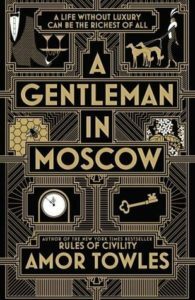 I’m starting my fiction choice with a real charmer, A Gentleman in Moscow (2016) by Amor Towles. A friend of mine recommended this, saying it was right up my alley. You know what? She was right. This quirky, odd, fairy-tale story is a whirlwind tour through Russian history in the 20th century. Not generally a source of smiles or feel-good fiction, but the characters are so wonderfully resilient and resourceful and witty and elegant and generous-hearted, that somehow while awful things happen, you still feel there’s hope. It has a feel very much like The Grand Budapest Hotel, Wes Anderson’s film from 2014. As I read this, I could hear Alexander Desplat’s wonderfully quirky and exotic theme music for the movie playing in the background. Count Alexander Rostov is designated a non-person after the Russian Revolution in 1917 and is condemned to live within the confines of the Metropol Hotel. But while he might be trapped in his luxurious surroundings, the world comes to him. There’s drama and romance and danger and capers, and a Les Miserables-influenced subplot with an orphaned little girl. And a million other things besides! It’s episodic but terrifically charming and left me with a smile. Well worth picking up! 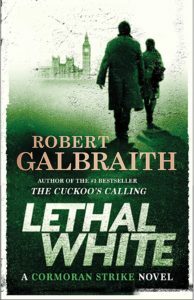 My next choice is the latest installment in the Cormoran Strike mystery series by Robert Galbraith aka J.K. Rowling. If you’re a regular of these columns, you’ll know I absolutely loved the first three Cormoran Strike stories, and did a piece on them back in March of 2017. Lethal White is fantastic, well worth the wait. The ongoing sexual tension/romantic subplot between ex-soldier private detective Cormoran Strike and his offsider Robyn Ellacott becomes even more complex (those who read the previous book, Career of Evil, will remember it ended on a real cliffhanger). This relationship is the heart of the stories, but the mysteries are pretty good too. When a mentally disturbed young man bursts into Cormoran’s office and claims he’s witnessed a murder, the stage is set for a complicated and nail-biting journey through the highest and lowest levels of British society. The characterization, and not just of the recurring characters, is the great joy of these books – everyone on the page comes alive. Well, until someone does them in! 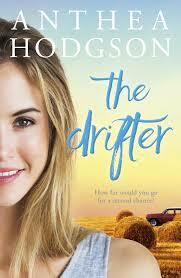 My next choice is an Australian rural romance called The Drifter by Western Australian author Anthea Hodgson. I haven’t read an awful lot of romance this year, although I did enjoy The Kiss Quotient by Helen Hoang which is worth picking up. But back to The Drifter, this one just got so much right about the rural life here in Australia. The strong community bonds. The loneliness. The precarious economic prosperity. The sense of history when families settle in one place for generations. The evocative setting in Western Australia’s dry wheat belt, with its wide flat vistas across the endless landscape. After being involved in a fatal car accident, troubled Cate Christie seeks refuge at her aunt’s rundown farm. There she meets mysterious handyman Henry, who has even more secrets than she does. It’s not much of a spoiler to say that these two damaged souls fall in love and find redemption. I laughed and cried and cheered in this one – and Cate’s blunt, practical, great-hearted Aunt Ida is an unforgettable character. The book is available in paperback and ebook in Australia and as an ebook internationally, if I’ve read the Amazon site correctly. If you want to pick up a really high quality example of contemporary Australian romantic fiction, I say look no further. My final favorite read of the year is a very late entry because I read it just after Christmas, thanks to a couple of recommendations. 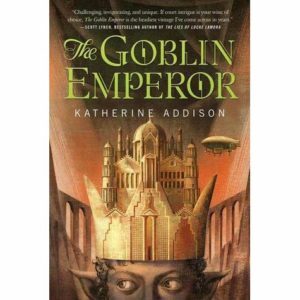 The Goblin Emperor by Katherine Addison is a really beautiful story with fantasy and steampunk elements. It charts the story of about a young misfit, generally despised by all around him, who becomes emperor and turns out to be a superb leader. It’s really moving watching shy, innocent Maia navigate his way through elaborate court etiquette as he faces down prejudice and ignorance and outright evil with his only weapons, a good heart and a generous soul. The world building in this is brilliant. The elaborate, old-fashioned, creaky court comes alive through breathtakingly vivid description. I kept thinking of late imperial China or France in the age of Versailles or Russia under the czars. There’s also a really strong emotional center in this one. I cried a couple of times and there’s a scene toward the end that had me bawling like a baby. This book was a lovely surprise and a story I suspect I’ll re-read.